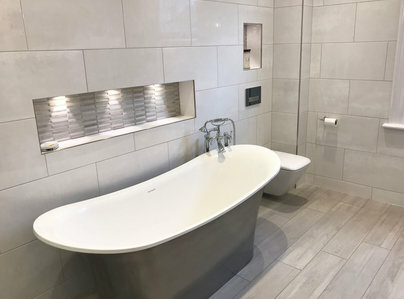 Our showroom is host to over forty inspiring bathroom displays from full bathroom suites and working shower displays to accessories and tiles. Our acclaimed design and installation service ensures your entire experience is stress free. Your personal designer will guide you through the entire process from initial site survey, layout design and product choices up to the installation. Supply only customers are also welcome if you have your own fitters. After over a decade of success creating beautiful bathrooms we also fit bespoke kitchens from quality British company Mereway Kitchens, with innovative appliances from Siemens and Bosch. 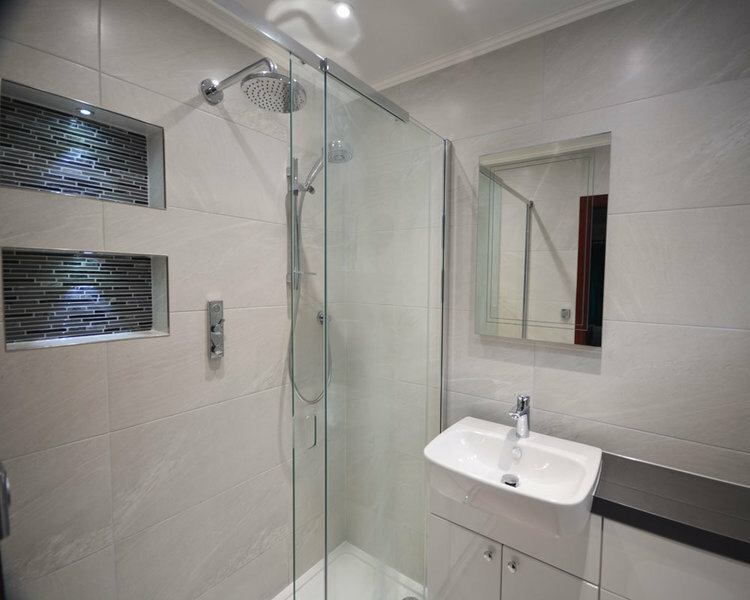 Our service includes complete bespoke design, project management and full installation covering building works, joinery, tiling and electrics. Visit our showroom for inspiration and talk to our passionate designers about how we can create your dream bathroom or kitchen. TOBC completely redesigned our tiny, grotty bathroom (1.2m x 1.2m), having listened to all our issues (poor layout, poor ventilation) and our hopes (durable, more usable space, more storage, better ventilation etc.) & advised on where best to focus our budget . She was the only bathroom designer brave enough to suggest completely re configuring the bathroom, which meant drilling a new waste through foot thick random stone walls. Other designers had all suggested very little change as they seemed unwilling to countenance moving the toilet waste pipe. She was amazingly patient, did a lot of research on products that would fit the limited space (every mm counts) and different shades and finishes of grey! She suggested things we had never thought of (tap shapes that reflect the sink and toilet profiles), matte uPVC ceiling that made such a difference to the finished design & ordered in extra tiles for future spares when she discovered that they were no longer being imported. She was also able to fit in our indulgence - a 1.2m wall cabinet. The home visit in advance of design with APG worked well as any technical queries could be addressed on the spot. The Original Bathroom Company were amazingly helpful, good at explaining stuff, good communication re.start & payment dates, storage requirements at home for delivery of materials. Completed on time and on budget - all in all a great result. We are going back to TOBC for a kitchen redesign on the strength of this positive experience. Installed a new bathroom & boiler (central heating). Work totally satisfactory in all aspects. Two hard working men! Helpful re control and adjustment, all affordable service. 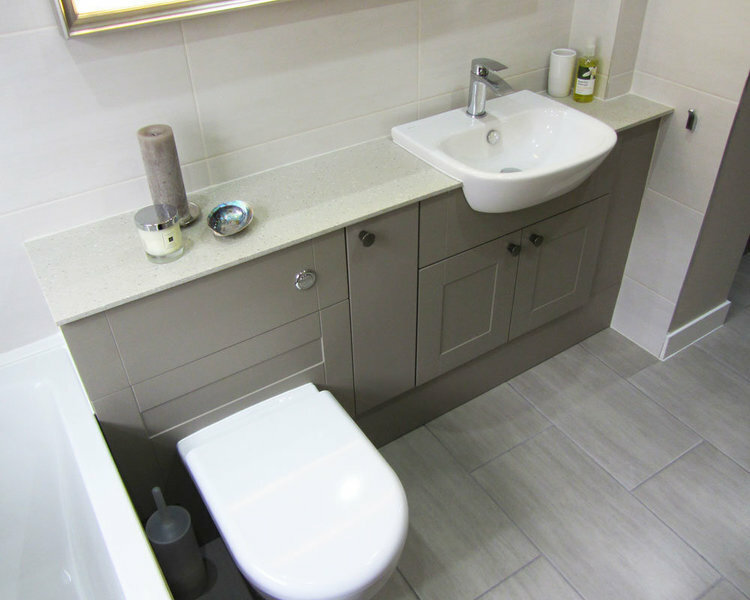 In the past year, The Original Bathroom Company have provided me with three lovely bathrooms which I absolutely love. All the products are tasteful and of high quality. Liz really listened to what I wanted and helped me with every last detail. Without her help I would have found the choices overwhelming. The end results have been great. I highly recommend them. Fitted and designed a complete new bathroom. We have now got a lovely modern bathroom. The work was completed on agreed schedule & budget. First impressions were very good & we would recommend this company. Very good guidance information provided when visiting the showroom and quality products at a reasonable price. 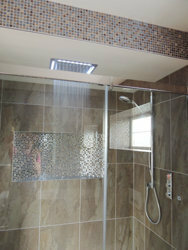 All products delivered promptly and excellent response when we asked for a change of tiles. My only disappointment was there was no follow up when the work was completed. Used our own fitters. 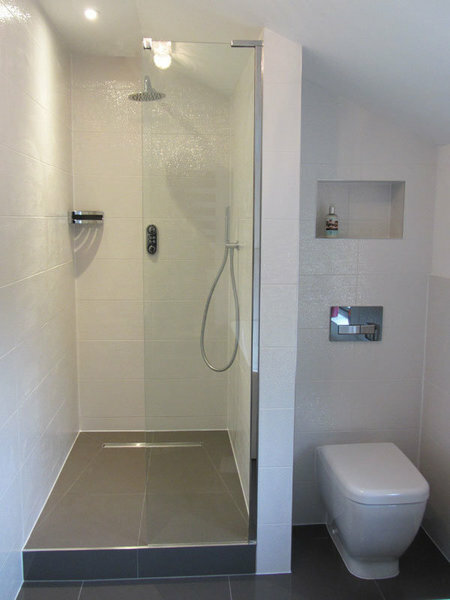 Quality of bathroom - exceptional. Very pleased. Would definitely buy from company again. Cannot get over what a stunning transformation our new bathroom has made to the house. Workmanship to the very highest standard from the fitter. Faultless, in fact. The only word I can think of to describe the entire process from first entering the showroom to the completed project is quality. The old adage "you only get what you pay for" has never been truer. A top drawer company, for sure. Expensive, but only when you see your new bathroom will you realise it was worth every penny. As we were building a new house we needed to choose the fittings as well as help with room design. Angela and the staff at The Original Bathroom CO. were really knowledgeable, helpful and patient, even when we moved a door halfway through and had to redesign. 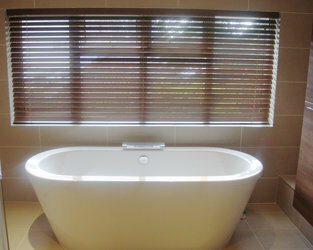 The quality and choice of products is fabulous - we are thrilled with the finished bathrooms. I hit the bullseye when I picked this company to do my bathroom. I wanted a unique style which they provided! Very friendly and supportive staff and a high level of workmanship have left me with a much envied bathroom!